I always feel a little guilty when I use condiments like BBQ sauce because I know they are loaded with sugar. That’s what makes them taste so good! To placate my conscience I decided to make my own BBQ sauce. I can’t claim this blender BBQ sauce contains less sugar than store-bought, but at least I know it’s made with healthy sweeteners. NutritionFacts.org shares an interesting video that compares different types of sweeteners. Date sugar and black strap molasses are shown to have significantly more nutritional value compared to other options. I opted to use whole dates in addition to date sugar as the main sweetener in this blender BBQ sauce. I added a bit of molasses to enrich the flavor. 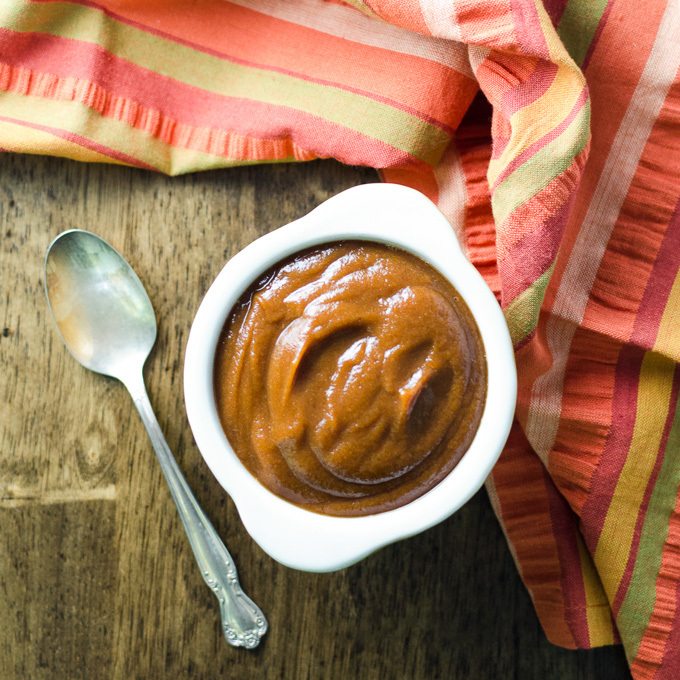 Many BBQ sauce recipes begin with ketchup. Ketchup is also loaded with sugar. I used tomato paste instead. It required a little more tweaking to get the right flavor and consistency – but it was worth it! My family was kind enough to perform taste testing. I knew I was headed in the right direction when my fourteen-year-old daughter told me I was a good mom. The recipe makes 4 cups, so you have lots to go around! 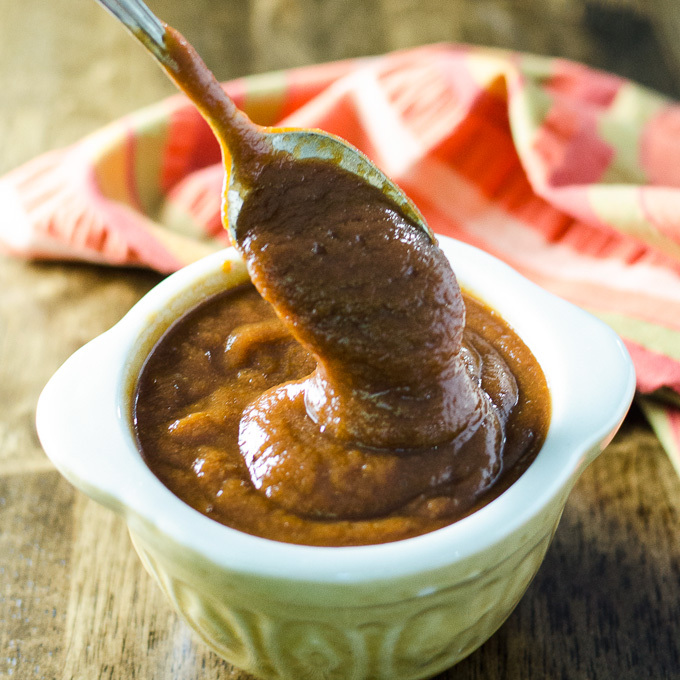 This blender BBQ sauce is thick and sweet with a kick from onions, garlic, ginger and cayenne pepper. It's quick and easy to make - no cooking required! Blend on high for approximately 1 minute, tamping if necessary. Recipe makes approximately 4 cups of BBQ sauce. Store in refrigerator for up to 1 week. Freeze for longer storage. What can I use to replace date sugar? Hi Christine – you could just add a few more dates if you don’t have date sugar. Start with 2 more and see how you like the flavor and add more if you need to. Thank you, Sally! I appreciate it.